The Exchange-traded fund (ETF) market is known as world’s second-fastest growing market. Its success may help to zoom the demand of such products in India. As per the some recent reports, which handle the pool, investors are taking interest in such products, considering its success, they invested almost $1.4 billion in the funds of various state-owned companies. This investment option seems to be best one to raise the assets as the govt have used ETF or CPSE (Central Public Sector Enterprises) for the third time to raise the funds in last three years. The first sale in March 14, raised Rs. 4,300 crore and later it raised at least Rs. 4,500 crore, the revenues will be used by the govt to manage public expenditures keeping the fiscal deficit unchanged. 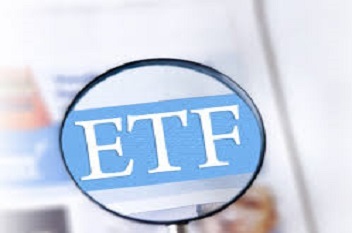 The Exchange-traded fund (ETF) market is known as world’s second-fastest growing market. Its success may help to zoom the demand of such products in India. The Exchange-traded fund (ETF) market is known as world’s second-fastest growing market. Its success may help to zoom the demand of such products in India. As per the some recent reports, which handle the pool, investors are taking interest in such products, considering its success, they invested almost $1.4 billion in the funds of various state-owned companies. This investment option seems to be best one to raise the assets as the govt have used ETF or CPSE (Central Public Sector Enterprises) for the third time to raise the funds in last three years. The first sale in March 14, raised Rs. 4,300 crore and later it raised at least Rs. 4,500 crore, the revenues will be used by the govt to manage public expenditures keeping the fiscal deficit unchanged.